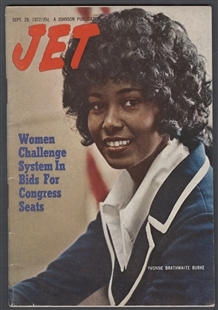 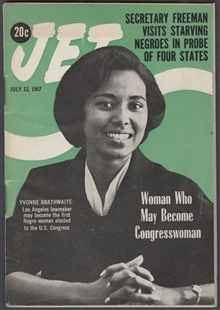 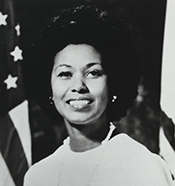 Yvonne Burke was a rising political star when she appeared on Jet magazine’s September 1972 cover. 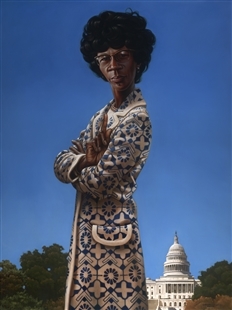 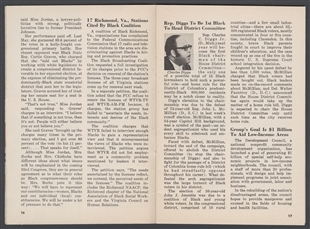 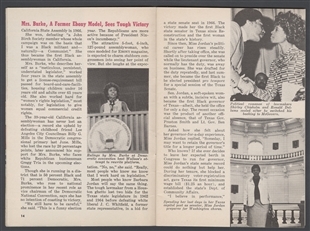 The accompanying article interviewed Shirley Chisholm, then the only black woman in U.S. Congress, as well as congressional hopefuls Burke, who went on to represent Los Angeles in the House, and Barbara Jordan, who later represented a Texas district. 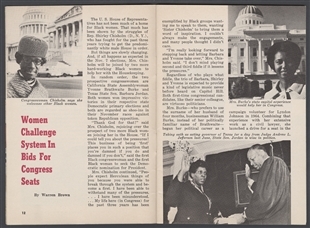 Burke and Jordan concurred with Chisholm’s appraisal of the pressure of being “firsts.” Chisholm said, “I don’t mind playing second or third fiddle if it lessens the pressure” of being the lone voice for black women in the legislative branch.